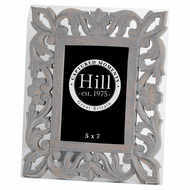 This photo frame gives a classy feel with the elegant shape and metallic finish. 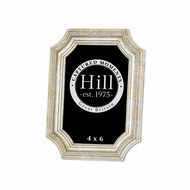 This size is ideal for a 4 x 6 photograph while the antique metallic finish gives this product a contemporary and glamorous feel but ensures it will fit into any home, the cut out corners add a unique feature to this item. Be sure to take a look at 19448 for the larger version.